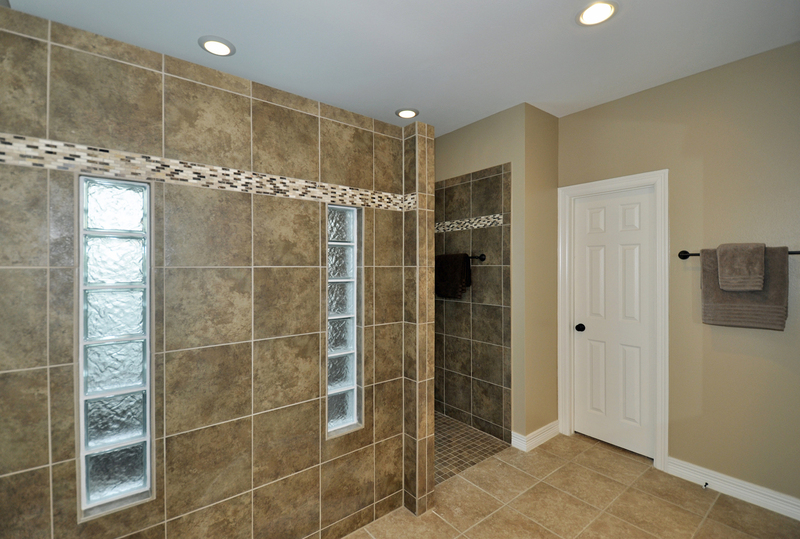 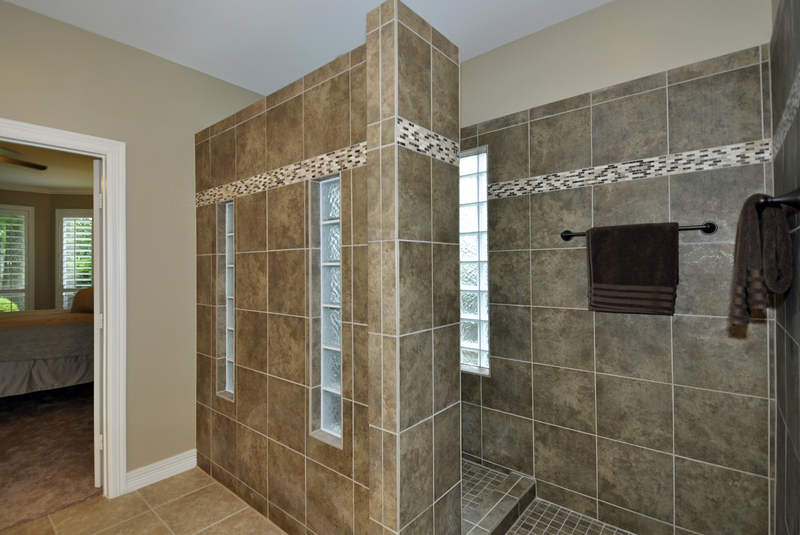 The homeowners wanted a new, large walk in shower with plenty of elbow room and no shower door. This was accomplished by removing the existing bathtub and shower and building a new tiled wall. 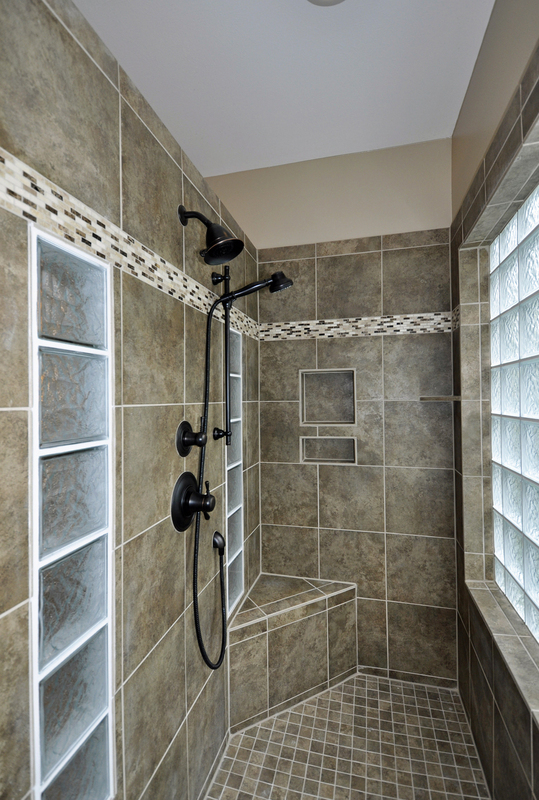 New glass blocks in both the new shower wall and the exterior wall allow plenty of light to come into the shower. 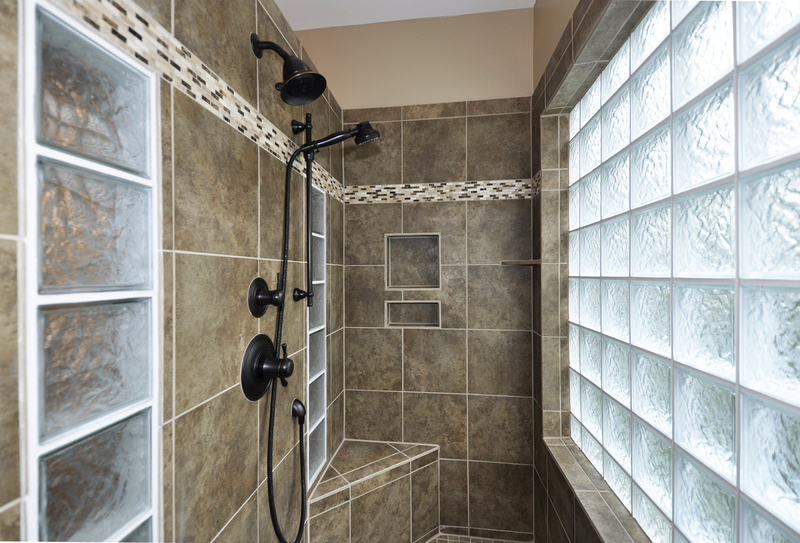 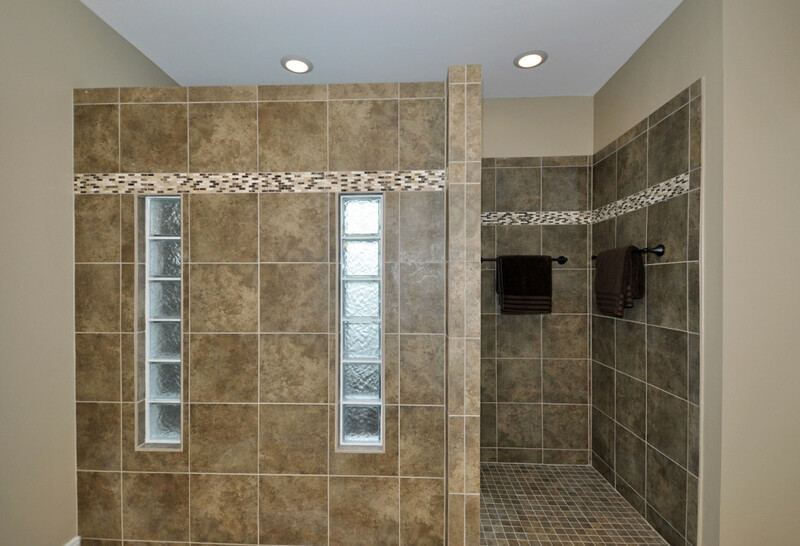 The decorative tile, corner bench, shampoo niche and double shower heads combine complete this Resort Shower! 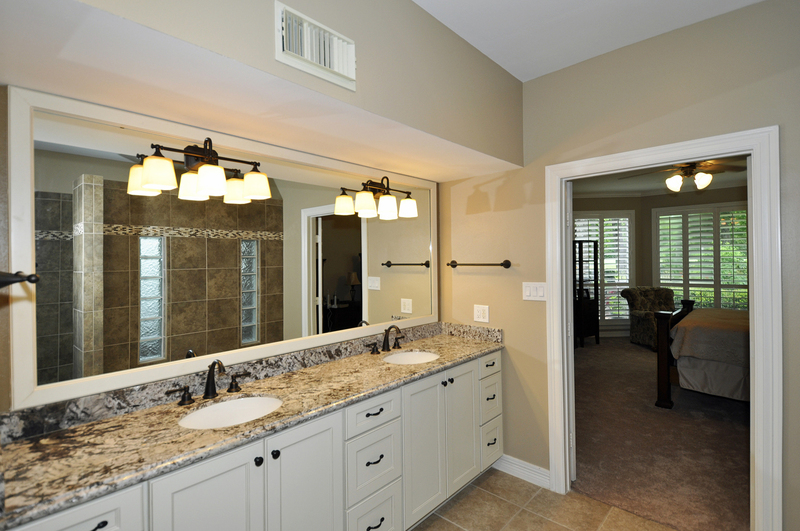 New cabinetry combined with a matching mirror frame form clean lines. 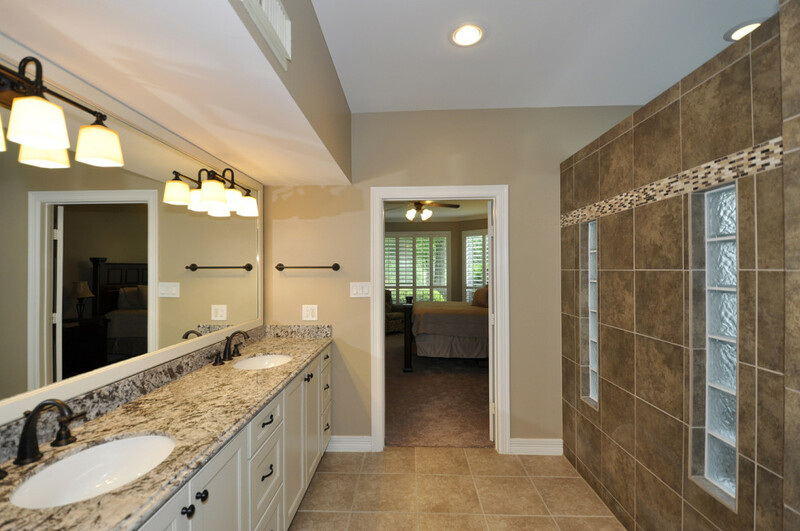 After the master bath remodeling was completed, we installed new carpet in the master bedroom and master closets. 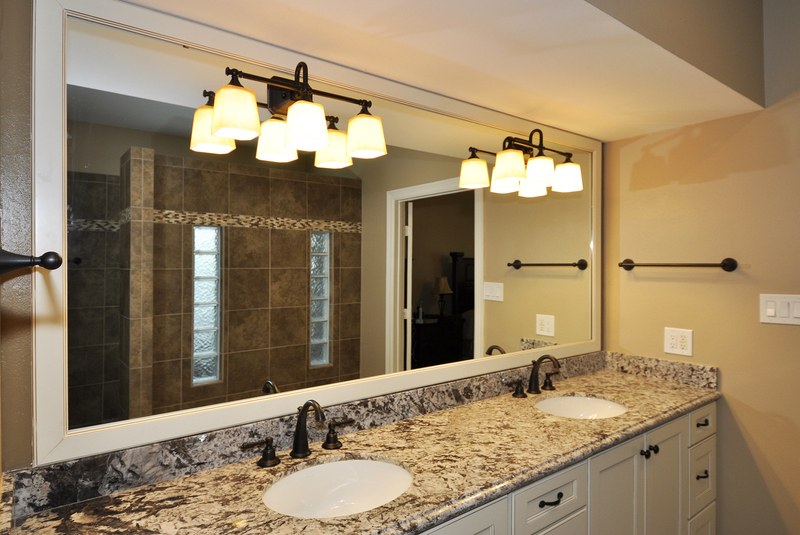 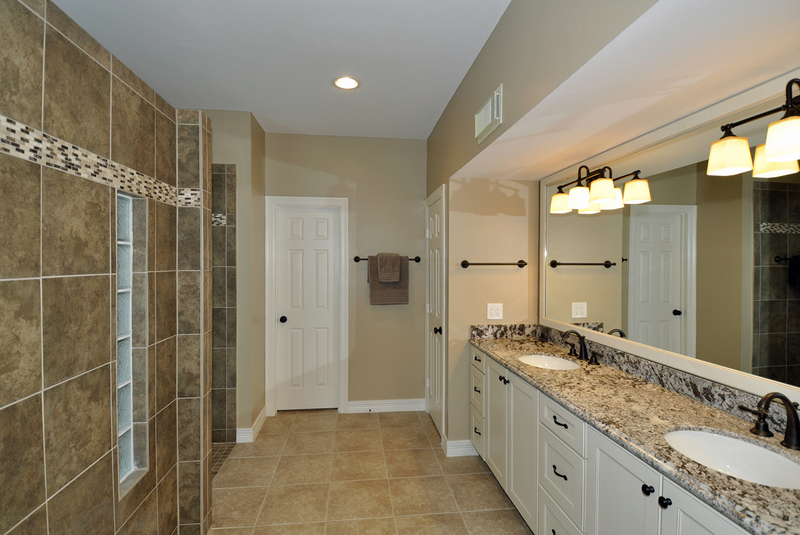 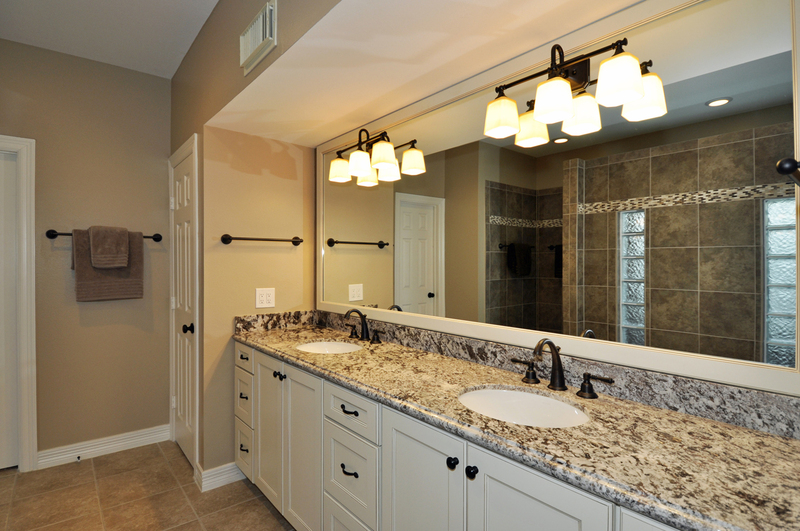 This completed the master suite remodeling project.